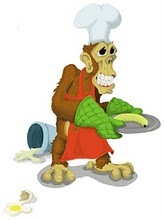 Kitchens Are Monkey Business: Happy New Year. 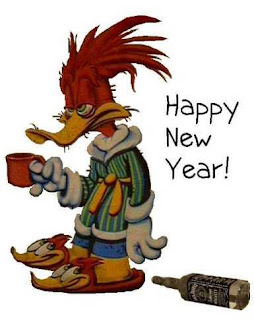 ... remind you of the Hungover New Year Duck? Or is it just me? Rosie has more things in the works. She's just resting a bit and taking her time falling into 2011. I have a delicious pound cake ready to offer, which I made two ways - rum and citrus- and both were divine, and I also have Michael Ruhlman's English Pork Pie. Please stay tuned.